Sorry, readers, for my lapse in writing. Time gets the best of us. Resolved: I will taste and write about more beers in 2016. I’ve tasted a few really good beers since our last visit, but the challenge has been to meet up with a local brewer while doing so. I’m bending my own rules a little bit by doing this tasting with a future local brewer . . . in this case my friend and business partner Tad Dedrick. Tad and I have opened Five Corners Pub & Brewhouse, at the Salt Ash Inn in Plymouth. (My colleagues at The Mountain Times were especially gracious in their recent story about our opening.) We hope to be brewing on-site in the spring, and until then our friends at McNeill’s Brewery in Brattleboro will brew some of our recipes for us. Tad Dedrick is that type of friend who, anytime I stopped over, was always cooking something better, and often more challenging, than I usually did. I always had to look stuff up after talking food with him. And his homebrew—it exhibited quality and creativity that I don’t see often in anybody’s beer. For this issue’s tasting, Dedrick and I sat down to have a few words with and about Profanity. The Shed was an institution of a ski town bar and eatery in Stowe, located on the Mountain Road. For nearly 50 years, it catered to locals and visitors, and late in its life, became a brewpub, one where several still-working brewers got their early experience, including a very young Shaun Hill. The brewpub was one of the first to distribute its pre-filled growlers in beverage stores statewide. In 2011, when their lease expired without an option to renew, owners Ken and Kathy Strong sold the Shed brands and their brewing equipment. Today, The Shed’s beers, including its signature Mountain Ale, are brewed in the brewery on Exchange Street in Middlebury—the same brewery on Exchange Street where Otter Creek is brewed. It so happens that the last person to brew beer at The Shed in Stowe is working making Shed beers in Middlebury. That’s enough continuity for me. Profanity Ale is an opaque dark brown in color, hardly allowing any light to pass through it. Highly aromatic, it smells both malty-sweet and florally hoppy. Big aroma. The hop lineup for Profanity includes Galaxy, Mosaic and Cascade. The citrusy Cascade hops dominate the aromatic profile. Large amounts of roasted barley contribute to the “obscenely malty backbone” that makes up the skeleton of this beer. “The flavor is roasted barley, but an instant later hops completely take over your tongue,” Tad Dedrick noted. “It’s a little deceiving,” he said. “You’re expecting a lot of malt flavor, and then it yields to the hops. The finish is bitter, but there’s also some lingering malt flavor, and the hoppy aspect stays with you. It’s complex,” said Dedrick. At 6.8% ABV, Profanity Ale is stronger than a session brew, but not so over-the-top that you have to stop at one serving. It’s a robust beer with big flavor, big aroma and a comfortable, moderate-to-chewy mouthfeel. There are now over 3,000 breweries in operation in the United States. 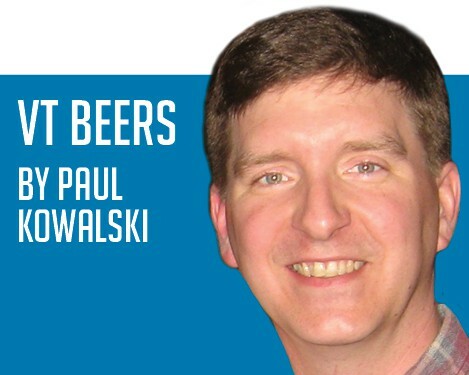 Each of them has at least one person, if not a committee, who spends some time trying to come up with cool, catchy names for their new beers—names that someone else hasn’t already used and taken ownership of. And it’s not easy. Thinking up a cool name, then looking it up and finding another brewer has already used it can lead one to profanity. And maybe that’s how we got to Profanity (Ale). Hoppy Holidays from the beer-tasting department at The Mountain Times! Please enjoy holiday cheer responsibly. Stay safe and keep an eye on your buddies!